In the heart of Cape Town’s Platinum mile! Located in prime position in the heart of Cape Town’s Platinum mile, The Peninsula All Suite Hotel’s main restaurant, Sunset Restaurant, is an al fresco-dining venue that offers culinary delights to hotel residents and visitors alike. 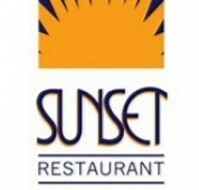 Open seven days a week, for breakfast, lunch and dinner, Sunset Restaurant caters for hotel residents including conference delegates and families. The hotel’s poolside provides the view for the restaurant and diners can enjoy a delicious meal within the indoor crisp environment or around the pool. Themed buffets for private functions as well as all-time favourites like burgers and chips are a taste of what diners can sink their teeth into. The restaurants tasteful yet casual nature becomes more apparent when guests are treated to superb Cape Malay cuisine on Wednesday evenings and a Plated Roast Evening on Thursdays. The Sunset Restaurant gives the hotel Chefs’ the opportunity to be creative yet simple when preparing culinary delights for hotel residents and visitors alike. Ultimately, diners can enjoy a combination of tantalising cuisine; flawless service and a matchless atmosphere, making the Sunset Restaurant dining experience a memorable one. Come and enjoy a Wine and Dine Evening Every last Thursday of the month. The restaurant features a different winery each month and offers an exceptional 5-course meal including wine at R250 per person. Adjacent to the foyer is our Cocktail Bar open from 11h00 to 24h00, there are conveniently located televisions for viewing the latest sporting events or keeping in touch with International news channels. This is a popular socializing venue and a great place to meet other guests staying in the hotel. The Peninsula excels in the business conferencing arena, with a wide range of venues, from our Executive Boardroom to the 100 seater Society Room. Our attentive staff, comprehensive equipment and unmatched attention to detail make The Peninsula the first choice for a seaside Cape Town conference. View our conferencing guide here. The Peninsula Hotel offers clients an option of 2 ceremony venues and 2 receptions, indoors or alfresco. We pride ourselves in offering clients excellent food, great service and a memorable day. As an added value service the hotel has employed the services of a professional wedding coordinator to assist clients in co-ordinating their perfect day. There will also be a co-ordinator on duty on your Big Day to ensure that everything runs smoothly. This is an added value service offered to Peninsula Hotel wedding couples at no additional fee. Special accommodation rates are available for wedding guests attending the wedding and can be booked with the wedding coordinator. View more here.